Our proactive environmental policy includes ecological measures such as ecolabels, the installation of solar panels and climate neutral printing. 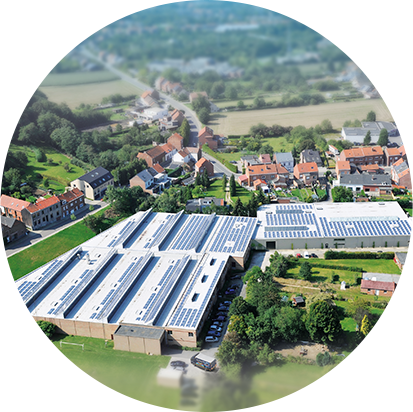 Drukkerij Van der Poorten offers all services under 1 roof: from prepress & printing to finishing & shipping. Drukkerij Van der Poorten remains a family business. To us it’s essential that customers are in direct contact with our board. As we offer all services under 1 roof, we are able to minimize the price and the delivery term for every type of printing. Drukkerij Van Der Poorten was founded over 65 years ago, and three generations later, we are an established name in the graphic sector. 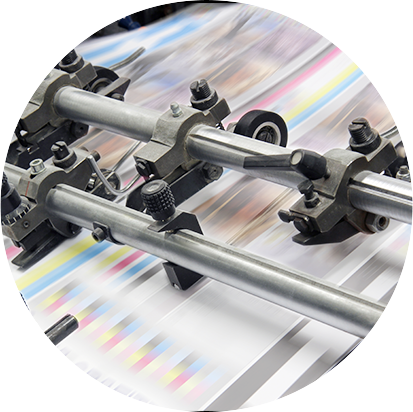 We can handle all your professional printing work, such as magazines, books, catalogues, annual reports, and brochures. We are not only a printer, but take the complete creative process off your hands for you, from pre-press and printing, to finishing and delivery or shipment. Drukkerij Van Der Poorten is your one-stop shop! Once your order has been printed, our extensive binding department can produce a fully finished final product (stapled or glued, with a straight spine or sewn if desired). We can then shrink-wrap and apply addresses to your printwork, and arrange for it to be delivered and distributed by our drivers or the post. At Drukkerij Van Der Poorten, we focus on your needs. Since we control the entire production process in-house, we are able to offer our customers flexible and personal solutions. Interested in finding out what we can do for you? If so, please don’t hesitate to contact us! Our experienced staff are always available to help. We succeed in reducing our ecological footprint significantly by carrying out a proactive environmental policy, by developing new products & innovative services, by emission reduction and by ecological printing. "Time and time again we find that our deadlines are respected and the printed matter is delivered as agreed on."